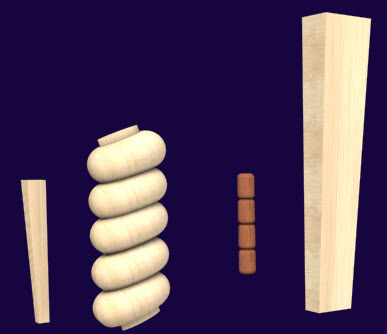 Cabinet design to taper or ‘turn’ round legs. Someone wrote in asking how to make tapered or turned legs for the cabinet designs. For the longest time my answer used to be ‘can’t be done’. Well in a moment of clarity and honesty…. I discovered that I was wrong! I just took a bit of thought and an appreciation of the nature of a board in SketchList 3D. This is the “normal board”. 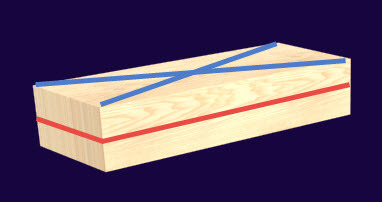 The top has with the blue X is a surface and the sides with the red lines are the edges. RULE: You can shape surfaces and contour or joint edges. This is the type of board you would use to make a mitered cove molding. Put the cove contour on three sides and shape top 45 degree cuts in the top. 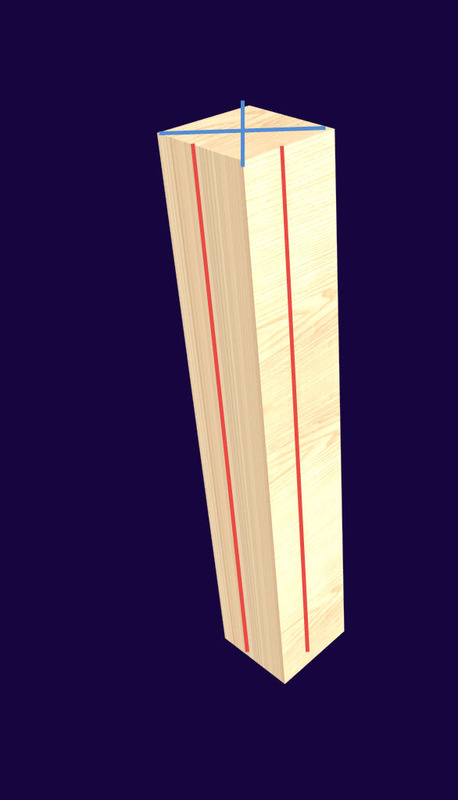 This is a leg board. The blue X is still the surface and the sides with the red lines are still the edges. The thing that looks like the board length is technically to SketchList 3D the THICKNESS. Pick this at board creation time. If you want a round [or even oval, or octagon] leg go to board detail level, select the surface [hint: blue X], and shape it. If you want a square, skip that last step. In either case – at the board detail level click the contour button. Then apply the contour you want. Bull nose is for round and chamfer is for a taper. Artistically you can add a cove or V cut as well. If you watch this video you will see how to put different things into your cabinet design. P.S. If you watch the video you might wonder why the rounded leg in the image above seems tilted. I just rotated each board by 20 degrees to give it a bit of a spiral look.